If you want to live a balanced and fulfilling life, then you need to discover the art of Zen. Everyone desires to lead a happy and blissful life but to achieve it means eliminating everything that’s holding you back. Zen brings peace, balance, calmness and fulfillment to your life. In order to get there, you need a laser like focus. You need discipline, motivation and clarity. Once you are able to eliminate all the negative things in your life, only then will you feel true happiness and blissfulness. In this series of videos which complements the Zen Mastery ebook, you will learn the true meaning of Zen, how to control your breathing and achieve deep meditation, how to change your mindset and simplify your lifestyle, how to be more mindful of your surroundings, how to get into a proper routine, how to appreciate the little things and so much more. 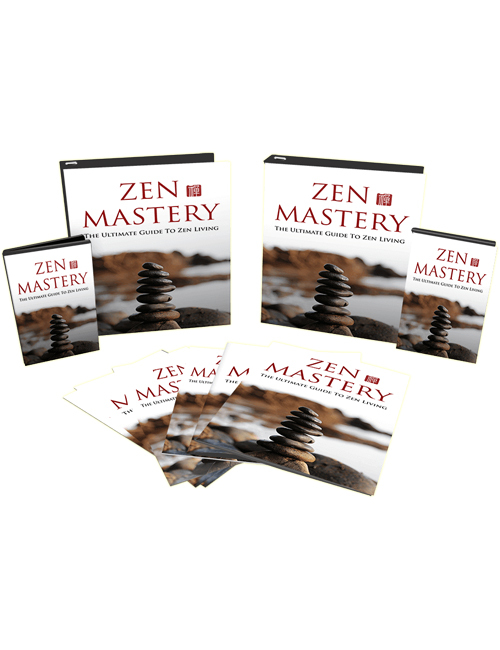 If you are one to welcome change then Zen Mastery is your best bet to get you going. Change isn’t instant but when you’re motivated and willing then anything is possible. It all starts with your mind. How much are you willing to work to change your life for the better? If you’re ready then hit the download button and let Zen become a part of your life.